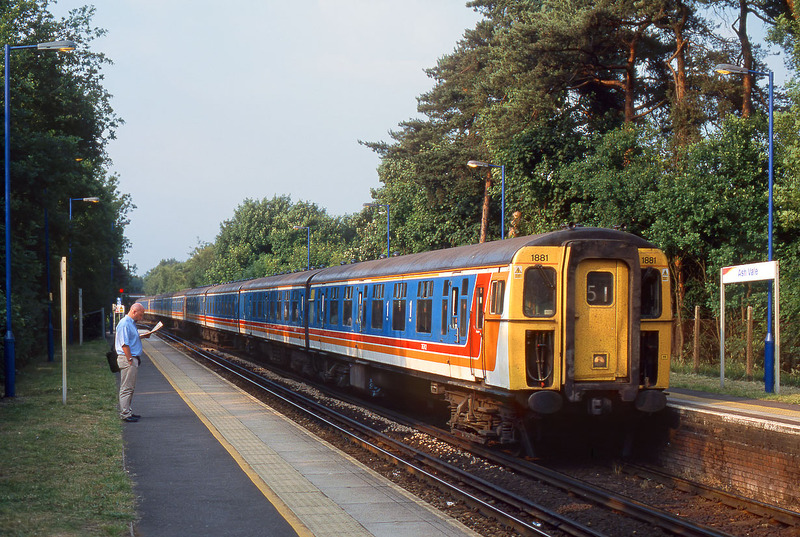 EMU indifference at Ash Vale on 17 June 2003! Class 421 4-CIG 1881 leads two similar units into Ash Vale station with the 17:48 Waterloo to Alton Southern service. Little did I imagine then that the next time I would see this unit, it would be heading up my local line hauled by 47739! It was subsequently broken up to provide spares for the Brighton Belle reconstruction project.